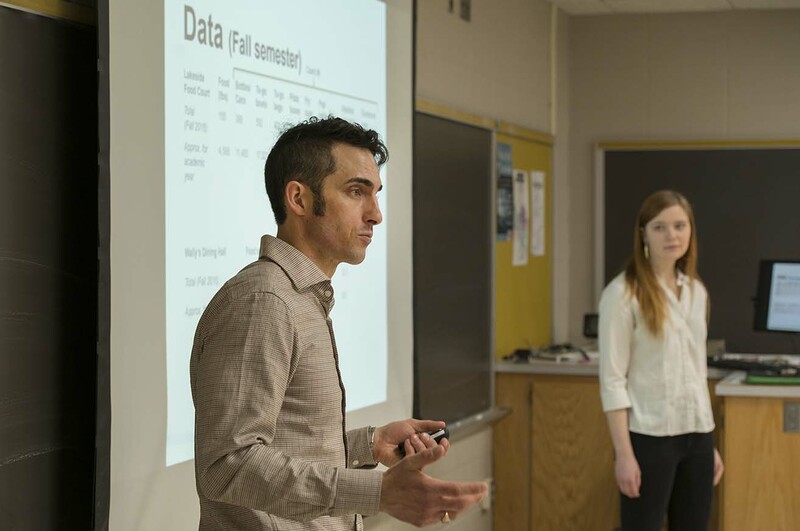 Dr. Travis Ricks, assistant professor of psychology and interim director of the conference, praised the students for their work during opening remarks at the conference’s kickoff breakfast. BSU President Faith C. Hensrud also spoke at the kickoff breakfast and relayed her congratulations to all of the day’s participants for their efforts. “My greatest source of pride as president continues to be the quality of our students and their many accomplishments, which reflect so well on BSU as a whole,” she said. She added that the academic and artistic achievements on display at the conference shows some of the many ways students can exceed their own expectations and experience dramatic personal growth during their time as BSU students. “Congratulations on distinguishing yourselves as scholars,” she said. The conference featured nearly 150 projects and presentations by nearly 300 students representing a wide variety of academic majors and programs, with additional students participating in invitational displays featuring design, fine arts and music. More than 140 students delivered oral presentations on subjects including theories of income polarization in the U.S., live-cell imaging of a protein called TCL, fish house rentals at the BSU Outdoor Program Center, CARE training for bystander intervention in sexual assault cases, and the relationship between working and grade-point average for college students. 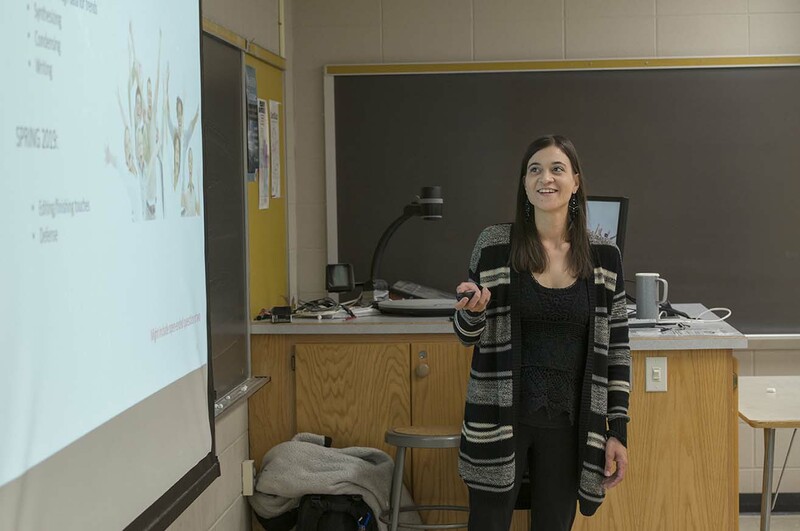 Jessie Fuhrman, a senior double-majoring in criminal justice and psychology from Maple Grove, Minn., presented about gender stereotypes and how those stereotypes affect facial recognition and the mind’s ability to create false memories. Mountain Lake native Clarice Wallert, a graduate student in biology, presented the results of her eight years of work as a member of the Wallert Cancer Research Team, run by Dr. Mark Wallert, an associate professor of biology at BSU and Clarice’s uncle. 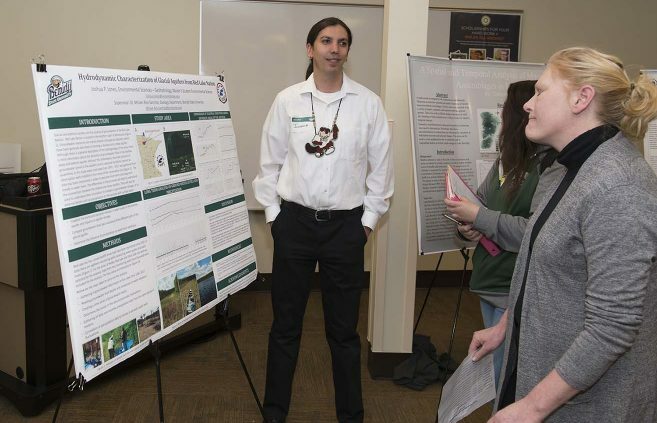 Poster presentations by 159 students included topics such as facial recognition software, an examination of nesting habits of purple martins on Lake Bemidji, how different cultures reflect shapeshifting in their myths and legends and an environmental impact assessment of Bemidji Brewing. Dr. Robert Youmans, head of user experience research sciences at YouTube, was scheduled to present the conference’s morning keynote address, but was unable to attend. He remained in California as his employees were among the victims of the April 3 shooting at YouTube offices in San Bruno, Calif.